Buy all 5 G12H (55) IR cabinets (1×12 open, 1×12 closed, 2×12 open, 2×12 closed and 4×12 closed) in one pack, to save 40% compared to buying them separately. 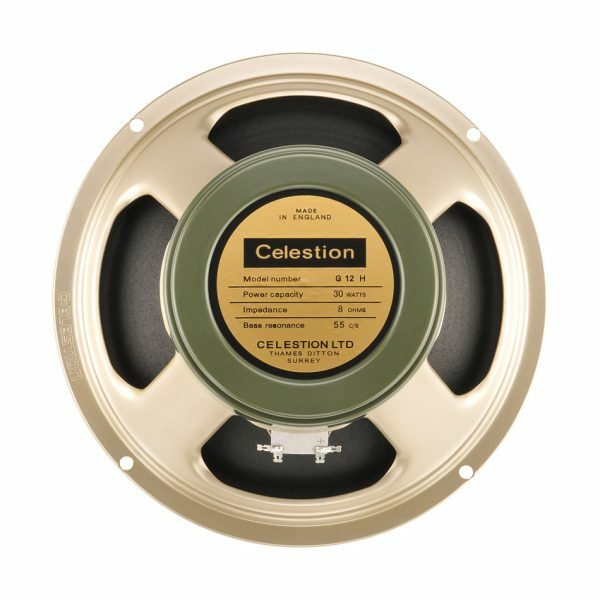 Experience unmistakeable late 60s rock tone at home, in the studio or live with the Celestion Heritage G12H (55) impulse response collection. With a low resonance frequency of 55hz, this is a speaker that’s ideal for heavy rock or any other genre benefiting from plenty of bass, with plenty of punch while retaining a strong vintage tone. At the same time, it also offers mid-range complexity and great articulation at the high end, perfect for lead solos. This 5-cabinet collection contains IR files for 1×12 closed back, 1×12 open back, 2×12 closed back, 2×12 open back, and 4×12 closed back configurations, giving you the full range of tones for the Celestion Heritage G12H (55).